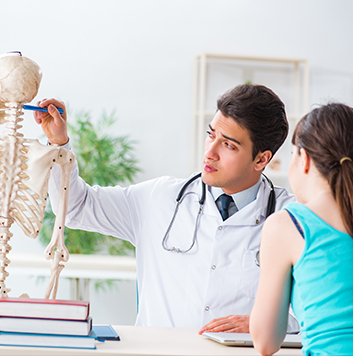 Postgraduate education courses are held at East Toronto Orthopaedic & Sports Injury Clinic for physiotherapists and other health professionals who want to further their education and network with other physiotherapy enthusiasts. All postgrad courses are held at the East Toronto location. We are pleased to continue our relationship as a course host for the North American faculty of NOIGROUP, and ACTIVE SHOULDER CLINICAL SEMINARS, taught by Cameron Bennett, MPhty (MSK), BSc (Pharm. ), MPT, CSCS. Neuro Orthopaedic Institute (NOI) Australasia has been in operation for 20 years, with highly qualified instructors working on all continents with multidisciplinary audiences. Organising over 100 seminars a year throughout the world, NOI’s faculty members are active in many conferences, university programmes and other postgraduate education sessions. The company reinvests in education and clinically based research and Noigroup Publications has grown from the demand for resources to support this emerging research. Injury or disease does not mean that you feel pain. The nervous system moves and stretches as we move. Pain, stress and performance are outputs of the brain. Knowledge and movement are the greatest pain and stress liberators. Nervous system plasticity gives new hope and technique. In a world experiencing an epidemic of chronic pain and increasing evidence of the failure of synthetic drugs; simple but extremely powerful educational tools can effectively target the natural pain treatment systems within us all. Knowledge is power. In the new series of Explain Pain courses delivered by Dr David Butler and the NOI teams around the world, cutting edge pain sciences are made accessible and understandable for all. The sciences are turned into metaphor and descriptive narratives, all on a framework of conceptual change science and the philosophy of emergence. Explaining pain is a two way process – the pain patterns, metaphors and stories from the patient’s viewpoint need reasoned analysis and are critical to meeting sufferers at their story. We know more about pain in the last ten years than in the thousand years before and it’s all increasingly providing answers to “why do I hurt the way I do” and “what can I do about it”. The knowledge is applicable to the young and the old, from back pain to hemiplegia, general aching to the complexities of phantom pain and complex regional pain syndrome. Decades of research and clinical experience have now been synthesised in the next step of the Explain Pain revolution – The Protectometer. A new device found in the most recently published book from Moseley and Butler, The Protectometer allows a person and their clinician to map out their pain experience, understand all the many factors that affect it, and develop a tailored therapeutic education and treatment programme. This therapy works – there are no side effects, it is available around the clock, it continues to improve and you can share it with others. These are exciting days for neuroscience, but it must be made exciting for sufferers as well. Don’t miss this unique opportunity. NOI Explain Pain courses are fun, intellectually stimulating, based on evidence, always challenging, and with the introduction of the Protectometer, you will come away with the most impressive therapeutic tool set ever. This course is open to: All professionals working with patients or clients in acute and chronic pain and stress states, for example, physiotherapists, occupational therapists, chiropractors, doctors, psychologists, rehabilitation counsellors. Mobilise – to prepare, to awaken and to move. NOI’s classic, longest running course, Mobilisation of the Nervous System, has evolved. Based on the latest evidence, the course has been completely updated and re-written ‘from the basic science up’. The research is compelling – the immune system via its interaction with the nervous system is a critical player in learning, memory, movement and sensitivity. This new understanding integrates peripheral and central processes and targets therapy towards healthy neuroimmune balance. This comprehensive lecture and hands-on course integrates the latest research on neurodynamics and neuroimmune science to provide a clinical reasoning framework to identify those patients who will benefit from neuroimmune mobilisation. The course then updates and refines the essential practical skills to examine and manage the physical health of the nervous system – skilled, safe and appropriately timed handling techniques are covered in detail during labs and practical sessions. These workshops offers health care professionals a structured approach to building their diagnostic knowledge along with a comprehensive set of treatment skills. They are intended to be practical and advance the knowledge of all professionals, from new graduates to senior postgraduate clinicians. Differential diagnosis, examination skills and effective treatment methods are taught for each shoulder disorder. Current teachings in clinical anatomy, biomechanics and pathology will be reviewed for each problem. Key rehabilitation methods will be taught through lectures, demonstration and case studies. We will also examine several rehabilitation plans and post-surgical protocols during the workshops. The clinic holds up to 36 participants for lectures and practical courses. ​Registration is now available online. Once registration is completed, you will be directed to PayPal for payment options, or to a third-party site, dependent on the course. Course registration is confirmed after payment receipt. Participants may cancel up to 30 days prior to the course date with a $50 admin fee. No refunds are given after 30 days prior to course date unless the available spot can be filled from a waiting list. An admin fee of $100 will be applied to the refund if a replacement can be located. By contacting us regarding a course product, you give us consent to communicate via email regarding course products and related communication. Consent may be withdrawn at any time. We reserve the right to cancel courses due to low enrollment. This decision will be made prior to 30 days before a course. A full refund will be given in such a circumstance.